Dead land frames the peaks of Khao Daeng. 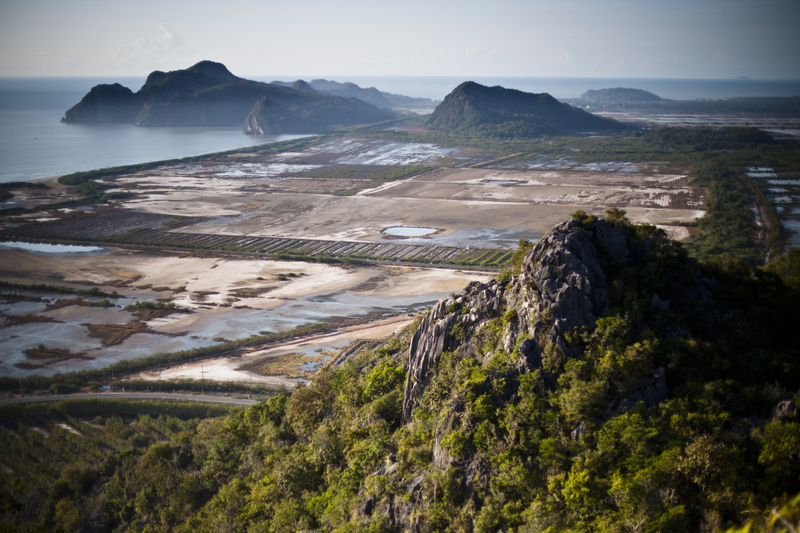 The brown scars of former shrimp farms leave the coast a wasteland once the land has been leached of its nutrients. This land is a land of mangroves and fishing cats, but both are being squeezed into tighter and tighter pockets as man races to supply the world's bellies with shrimp.